British Prime Minister Theresa May's initial response to the attack with a nerve agent in England was old-school. She expelled 23 Russian diplomats, allowing Moscow to expel the same number of British diplomats and close the British Council and a British Consulate in Russia. The joint Western action of 27 additional countries expelling Russian intelligence agents on March 26 added new force to the retaliation, but President Vladimir Putin can shrug this off. He is likely to expel a similar number of diplomats from all the countries involved. What would be even better is a crackdown on Kremlin money in the West - and the best place to start is by taking on the problem of anonymous ownership. The West should go after the money the Putin regime has moved here. Russia's economic means are limited. Therefore, the Kremlin prefers cheap asymmetric or hybrid warfare, such as the hacking of elections, cyber warfare, manipulation of social media and the corruption of foreign politicians. We need to respond asymmetrically, hurting the Kremlin more than it hurts us. Putin controls the Russian state institutions, its secret police and its big state companies. Together with a few old friends from St Petersburg, the president is tapping the big state companies through overpriced no-bid procurement, transfer pricing, asset stripping and stock manipulation. They are also making money by extorting old oligarchs and taking loans from state banks, not to be returned. The Panama Papers, a series of leaked documents on offshore accounts released in April 2016, offered plenty of evidence of Putin's secret wealth. Overall assessments indicate a personal enrichment of Putin and his closest cronies of some $20bn to $25bn (€16.2bn-€20.2bn) a year since 2006. 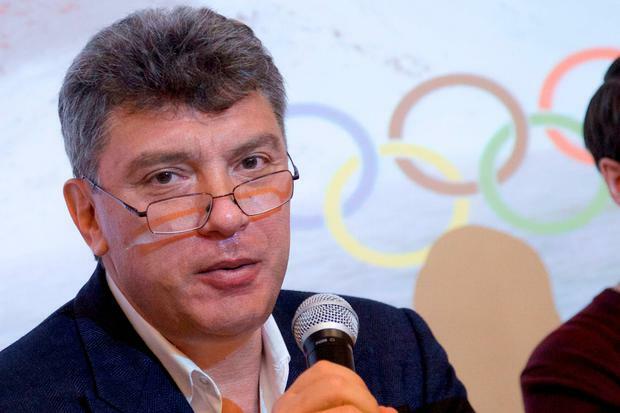 Nemtsov and Milov documented pilfering from Gazprom of $60bn (€48.6bn) from 2004 to 2007, and this was probably just over half of their enrichment, which has only increased. By now, this group would have accumulated $240bn to $300bn (€195bn-€243bn). Businessman Bill Browder estimates that Putin is the richest man in the world, with a personal wealth of $200bn (€162bn). Total private Russian holdings abroad are assessed in the range of $800bn to $1.3trn (€649bn-€1.05trn), according to Global Financial Integrity and a National Bureau of Economic Research study. Putin and his friends have not accumulated their vast fortunes to consume them, but rather to maintain power in Russia. The irony is that having undermined property rights in Russia, they - like other Russians - can only safeguard their savings abroad in countries that enjoy the rule of law, allow anonymous ownership and have sufficient financial depth for their vast fortunes. Many countries have the rule of law, but just a few of them -those with Anglo-American law - allow large-scale anonymous ownership. Most European countries do not. Numerous small islands allow anonymous ownership, but they lack financial depth. Only two countries can harbour most of the Russian offshore wealth - the United States and Britain - because they allow anonymous investment in real estate on a large scale. Twenty-nine countries, including most EU countries, already demand full disclosure of beneficiary owners and 11 others have agreed to do so, too. They have all come to the same conclusion: anonymous ownership has become a major threat to national security. Former UK prime minister David Cameron promised to demand full disclosure in May 2016, but he resigned two months later, and his successor, May, has shown no interest in doing so even after the nerve-agent attack in Salisbury. The United States needs to catch up. Congress is currently considering two bills that go in the right direction. Democratic Senator Sheldon Whitehouse has submitted a draft of the True Incorporation Transparency for Law Enforcement Act for corporate transparency, and in the House of Representatives the Counter Terrorism and Illicit Finance Act has been submitted. Congress should adopt one of these bills. The important thing is to unearth secret ownership by sanctioned individuals and entities. Helpfully, Putin has himself told us what sanctions hurts him the most by complaining incessantly about the Sergei Magnitsky Rule of Law Accountability Act of 2012 and the sanctioning of his St Petersburg cronies in March 2014 for their role in Russia's occupation of Crimea. These acts prohibit named individuals from entering the territory of the United States and freeze their assets whenever they are detected. So far, unfortunately, these new laws haven't proved especially effective, since the US government has detected only a few million dollars of their assets. In 2015, the US treasury assessed that $300bn a year was laundered in the United States. According to Raymond Baker, founder of Global Financial Integrity, in a good year, the US government detects 0.1pc of that money. The reason? Anonymous companies are allowed to invest in the States. The same is true of Britain, where the National Crime Agency estimates that $125bn (€101bn) is laundered annually. This must be stopped for the sake of security.